iMindMap's Presentation View is a great resource for building captivating presentations in no time at all. Open the map that you would like to use for your presentation and click the 'Presentation' icon located within the main toolbar. Enter a name for your presentation. 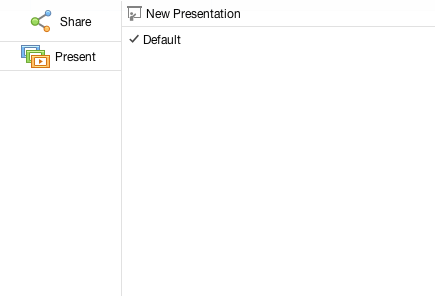 'Auto Create' will open your map in Presentation View and automatically organise the layout of your slides. 'Create your own' allows you to create your slides one by one. Slides will then be shown in the timeline panel on the left of your screen. You can then edit them in this panel. iMindMap's Presentation View is a great resource for building captivating presentation in no time at all. Open the map that you would like to use for your presentation and click the 'Action' icon located within the main toolbar. Here you will be shown options within a pop up to create a 2D or 3D presentation. You will also have to option to 'Auto Create' or 'Create your own' presentation. 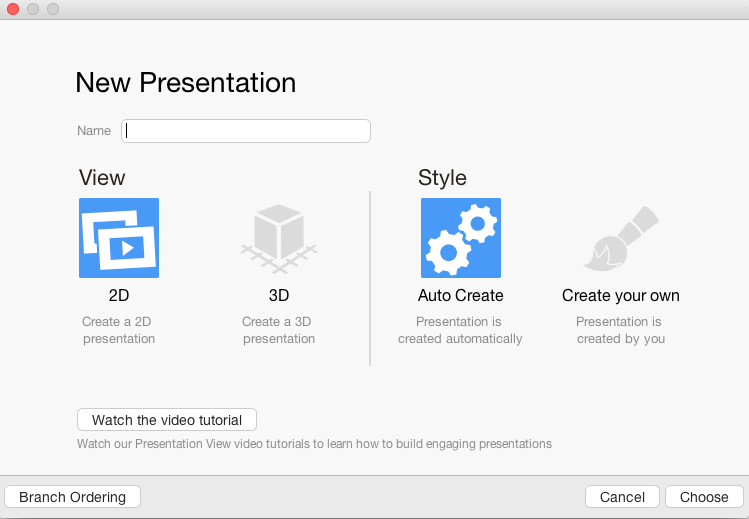 'Auto Create' will open your map in Presentation View and automatically organises the layout of your slides. Slides will then be shown in the timeline panel on the left of your screen. You can then edit your slides in this panel.